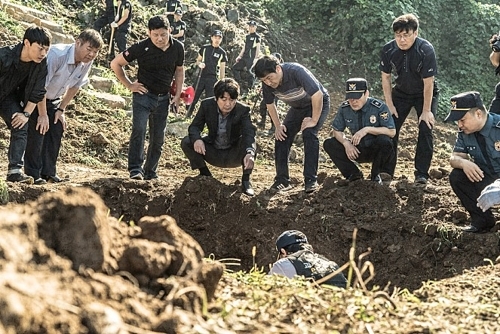 SEOUL, Aug. 28 (Yonhap) — A new Korean crime thriller telling the story of a police detective tracing hidden crimes allegedly committed by a prisoner proves real life can be more dramatic than fiction. “Dark Figure of Crime” is based on the real-life story of a murderer and Busan-native who offered a deal to a detective in 2010 by claiming responsibility for hidden crimes of murder, and of the detective who struggled to unleash truth about the unreliable confessions. Director Kim Tae-gyun said during a promotional press conference for the film on Tuesday that he first came to learn the story from a TV documentary program in the fall of 2012. The following day, the director drove five hours down to Busan to meet the detective in real life and began writing the screenplay of the film based on what he heard from the detective and his colleagues. It took six years for him to complete the movie. 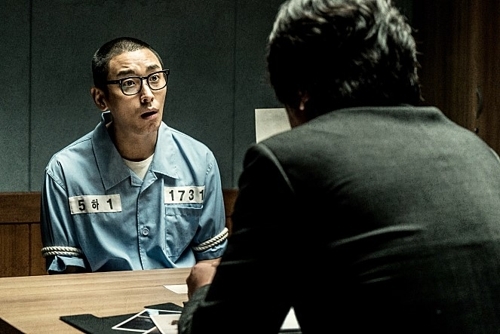 Actor Kim Yoon-seok of “1987″ and “The Fortress” plays the detective named Hyong-min tracing the long-hidden cases based on the criminal’s confessions. Ju Ji-hoon, who recently appeared in several box office hits — the “Along With the Gods” series and “The Spy Gone North” — plays Kang Tae-oh, a smart criminal who tries to manipulate the detective by constantly providing confusing information on what he allegedly did. 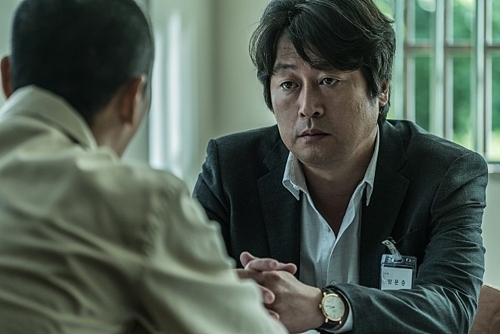 Hyong-min never gives up his investigation due to his pity and sympathy for the victims even, after he learns that Tae-oh artfully mixes lie and truth so that he can be sure of nothing. Ju said speaking Busan dialect was the biggest challenge for him as an actor who is a Seoul native. “I initially thought I would be able to do it if I practiced hard, but it turned out Busan dialect felt like a foreign language with much irregularity,” he said smiling. The Showbox presentation is set to open in theaters in October.